Photograph: Courtesy Hollywood & Highland Wine & Jazz. 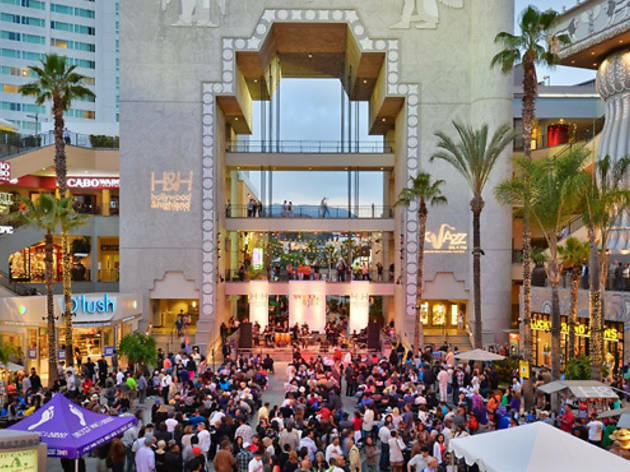 Before you hop on the Hollywood Bowl shuttle, stop for a drink and a few tunes at Hollywood & Highland's annual Jazz & Wine series. 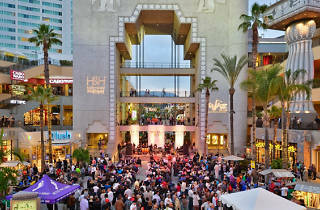 Each week, KJazz 88.1 FM curates a free jazz performance in the Hollywood mall's outdoor courtyard. In addition, you can sample wine by Stella Rosa and an appetizer box for $10 (proceeds benefit Project Angel Food).